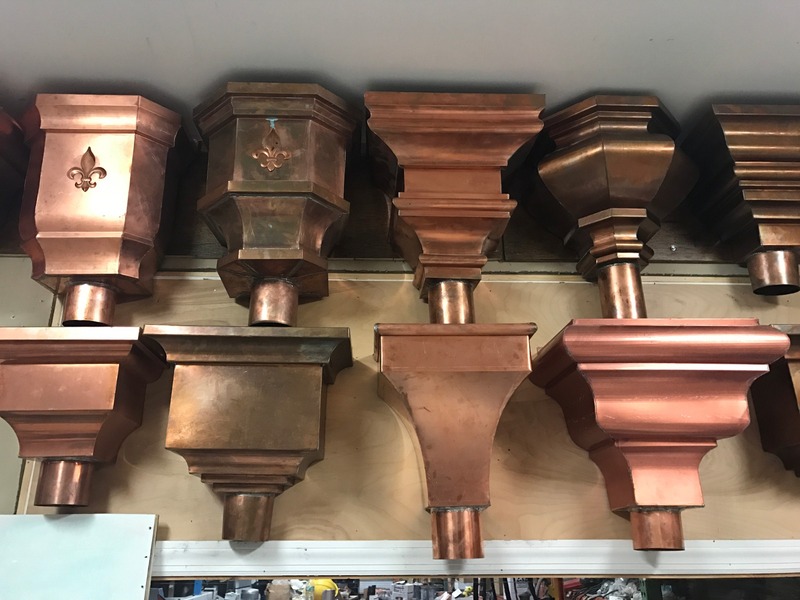 Also known as conductor heads, rain collectors and collector heads, they are used to enhance the look of traditional and contemporary architectures. 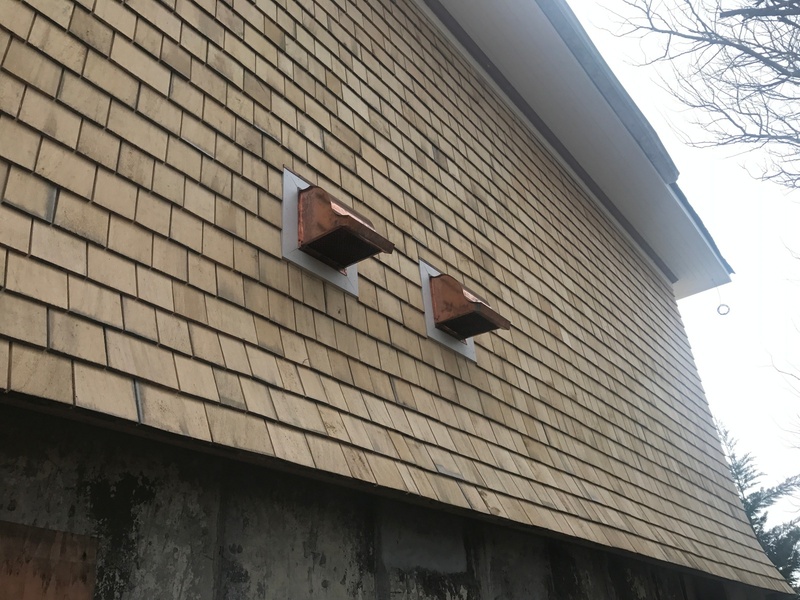 Usually installed under the soffit, they allow for air to enter the line so as to prevent the gurgling noise associated with inefficient drainage. 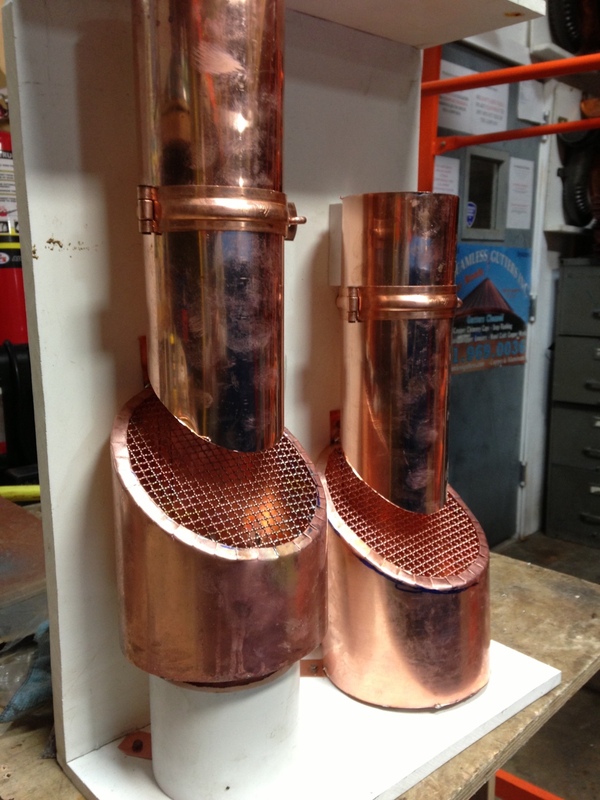 Conductor heads, for example, are used under a valley area to conduct rain water down to the next level or the ground drain.